Emed > Cancer > B3 to Reduce Some Skin Cancers? Funded by the Australia’s National Health and Medical Research Council, coming out of the University of Sydney and lead by Dr Diona Damian, the research revealed that a form of vitamin B3 , nicotinamide, may reduce the risk of basal and squamous cell skin cancers. Basal and squamous skin cancers are rarely lethal but they’re very persistent and they keep coming back. Researchers did not assess the risk of melanoma – the most deadly form of skin cancer. Nicotinamide supplementation also seemed to cut the rate of pre-cancers – scaly patches of skin called actinic keratoses – by 11% after three months of use and 20% after nine months. The research looked at 386 people who had at least two skin cancers in the previous five years. Participants took either 500 milligrams of nicotinamide or placebo twice a day for a year. Dermatologists checked for skin cancer every three months. Participants were then tracked after they stopped taking their tablets. The rate of new skin cancers was similar in both groups. People taking nicotinamide showed immediate benefits. “This reduction in skin cancers seemed to start as early as the first three-month visit,” Dr Damian said. Researchers determined that those that took nicotinamide had a 23% lower rate of new skin cancers compared to those taking the placebo. During the year-long study, the patients in the placebo group developed a median of 2.5 new skin cancers, whereas those in the nicotinamide group had a median of 1.77 new cancers. However the benefits wore off pretty quickly and individuals will need to continue taking the tablets for the positive effects to endure. These findings offer hope that nicotinamide could be a cheaper and easy way to lower a person’s skin cancer risk as these growths are expensive to remove, usually requiring surgery, freezing or radiation. Nicotinamide “presents a new chemopreventive opportunity against non-melanoma skin cancer that is readily translatable into clinical practice,” the researchers conclude. Can Nicotinamide Be Used as a Skin Cancer Preventative? Researchers stressed that they were not suggesting supplementing with nicotinamide for people who have not yet had one of these skin cancers. During the press briefing, Dr Damian emphasised that this research shows the benefits of nicotinamide in patients who already have skin cancer. When asked about the general population, who may be worried about sun-damaged skin, she noted that the data is currently not there. However it may be that nicotinamide would also reduce their risk of developing skin cancer but the evidence has yet to be determined. The researchers believe that nicotinamide offered protection against the development of subsequent skin cancer by working in two ways: enhancing the repair of DNA in skin cells damaged by sun exposure and preventing immune suppression in the skin by ultraviolet (UV) light. 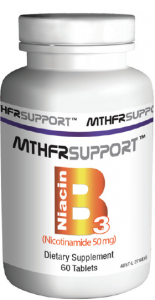 The other form of vitamin B3 – niacin was not used in the study. This form can cause flushing, headaches and blood pressure problems in high enough doses. Those problems were not seen with nicotinamide in the study. “Nicotinamide was very well tolerated,” Dr Damian noted and there were no interactions with other medications that the patients were taking. Just to clarify – nicotinamide has absolutely nothing to do with nicotine, the addictive component in tobacco! Australia has much higher rates of skin cancer than elsewhere in the world. In Australia, skin cancer is four times more common than any other cancer and it affects more than half the population during their lifetime. 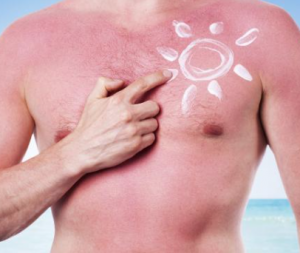 Ultraviolet rays from the sun cause most skin cancers by damaging the DNA of skin cells. UV radiation also hampers the body’s ability to fight off cancer, depleting the energy that skin cells need to repair damaged DNA and profoundly suppressing the skin’s immune system. Always remember the basics of sun-sensible behaviours; avoid over exposure to harsh UV and use sunscreen – as the best ways for anyone to lower risk. The Aussie ‘slip, slop, slap, seek, slide’ health campaign still rings true! As the UV rays start intensifying slip on a shirt, slop on sunscreen, slap on a hat, seek shade and slide on wrap around sunglasses to prevent and reduce sun damage.